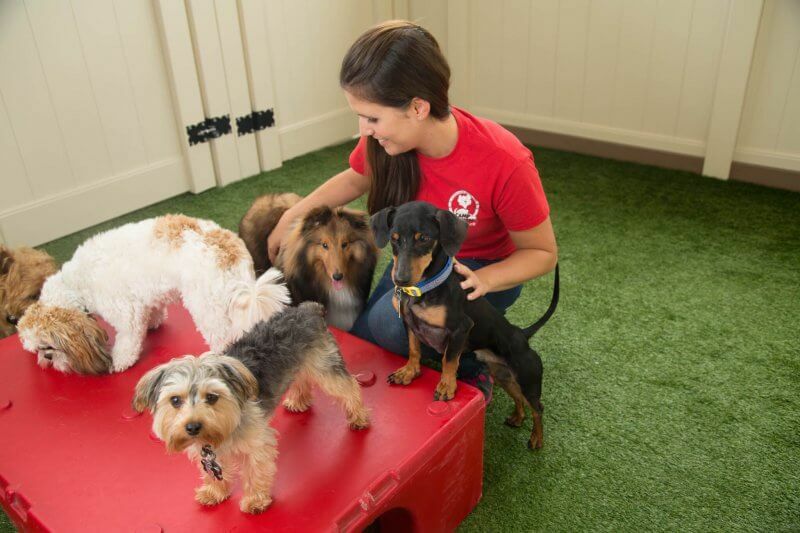 What Are Pet Owners Searching For in a Doggy Day Care? When looking for a doggy day care, it’s no surprise that pet parents are typically in search of the usual to start: a place for their pet to be looked after, exercised and kept company while they’re away from home. However, the quest for the perfect doggy day care facility doesn’t stop there. Nowadays, pet parents are treating their beloved pooches like part of the family – 60% of owners to be exact, according to Mintel. So, what does that mean? It means they’re spending more time doing their research.More and more people are treating their dogs like their children, and they don’t just want to dump them off somewhere. They want to take them to the most trusted name they know. At Camp Bow Wow, our job is to be that name! A large, tidy, and fun-filled play space. No matter how you slice it – big, small, old, young – every dog needs a place where there’s room to run, roll, nap and play safely. I guess what we’re saying is, they need a place Where a Dog Can Be a Dog.®. Fortunately for our 200,000+ four-legged Campers and counting, Camp Bow Wow offers just that. Our average Camp is between 4,000 and 7,000 square feet, and features both indoor and outdoor play areas that are kept neat and clean at all times. Ideal locations are those in industrial or retail spaces, so there’s plenty of room for ruffin’ around! A safe space that’s fully insured. Pet parents want to know their pup is not only kept happy, but also kept safe. Think about it – would you just drop your loved one off at any old place, no questions asked? We didn’t think so. For this reason, we’ve made safety our top priority. Each Camp Counselor is extensively trained in dog behavior, pet first aid and CPR. We also require all Campers to pass a socialization interview, be spayed or neutered, and be current on vaccinations. For pet parents that are still not 100% at ease, we offer 24-hour live video feeds that can be viewed from anywhere via computer or mobile device. A trained staff of dog-lovers who truly care. Arguably the most important item on any pet parent’s doggy day care shopping list is a loving environment for their pet. Doggy moms and dads are looking for avid dog-lovers to care for their furry friend while they’re away, and Camp Bow Wow has plenty of them! In fact, our founder herself was once in search of a better day care and boarding option for her own dogs, which was where the idea to set up Camp first began. Are you a dog-lover yourself, interested in providing a fun, safe, caring place for pet parents in your area to feel comfortable dropping off their pup while they work and travel – guilt free? If this sounds like you, it seems like you’re ready to become a part of the Camp Bow Wow Pack! To receive your complimentary executive summary and learn more about franchise opportunities, fill out the form below or call us at 877-700-2275.